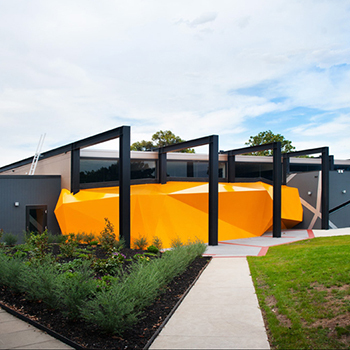 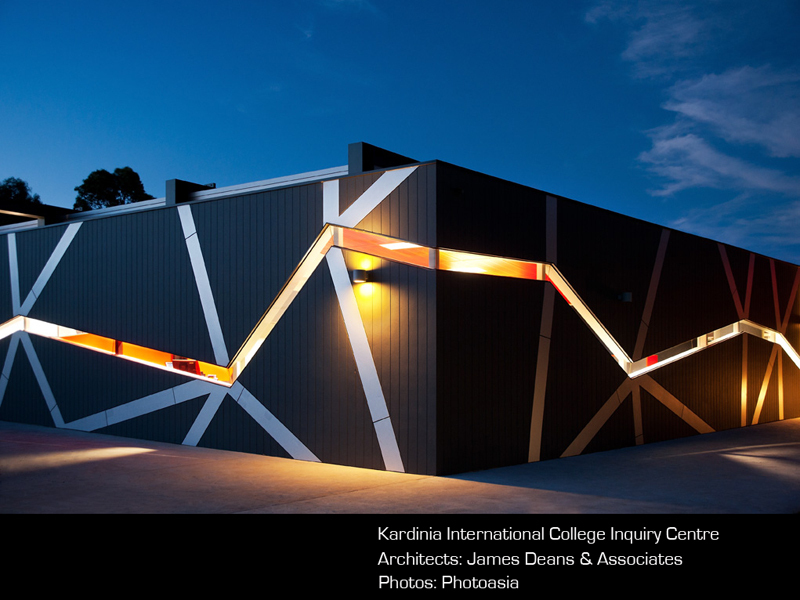 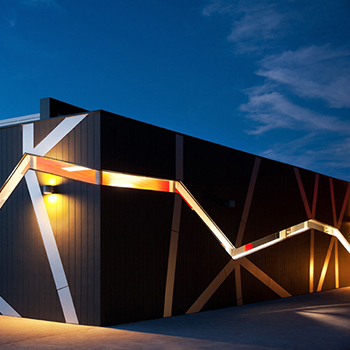 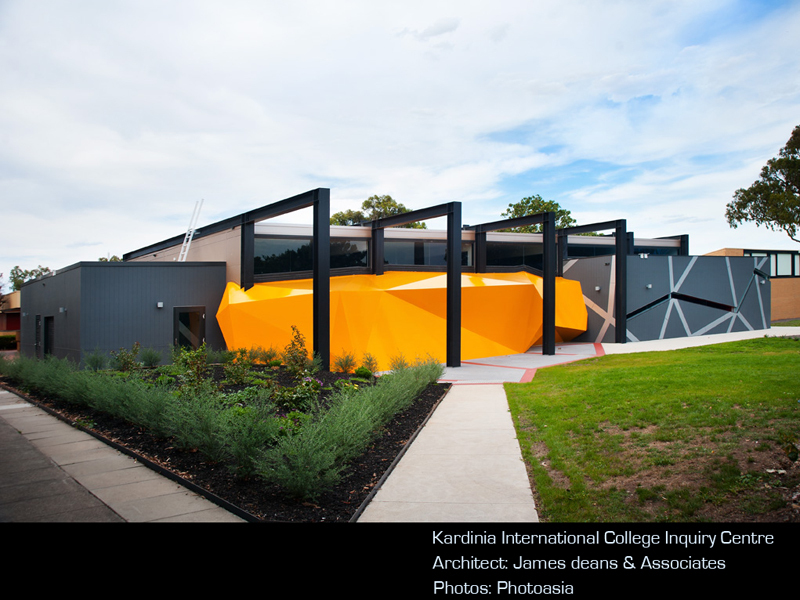 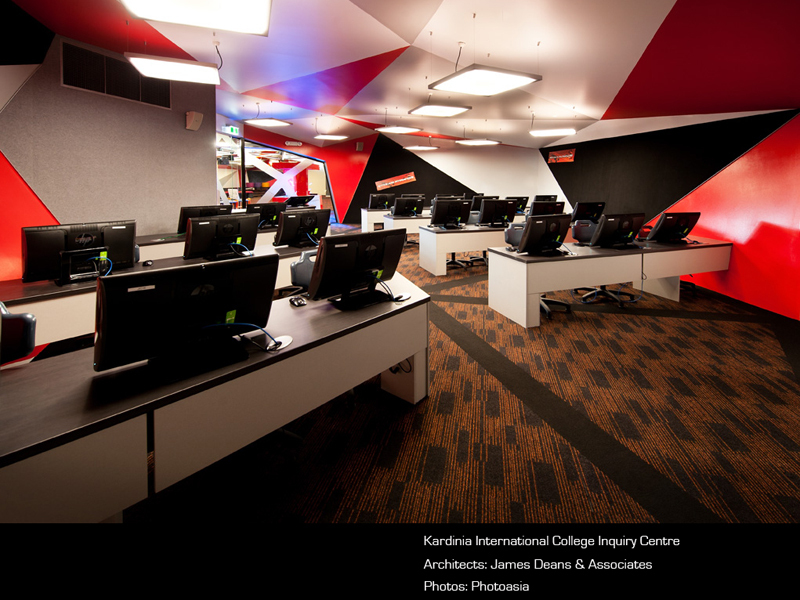 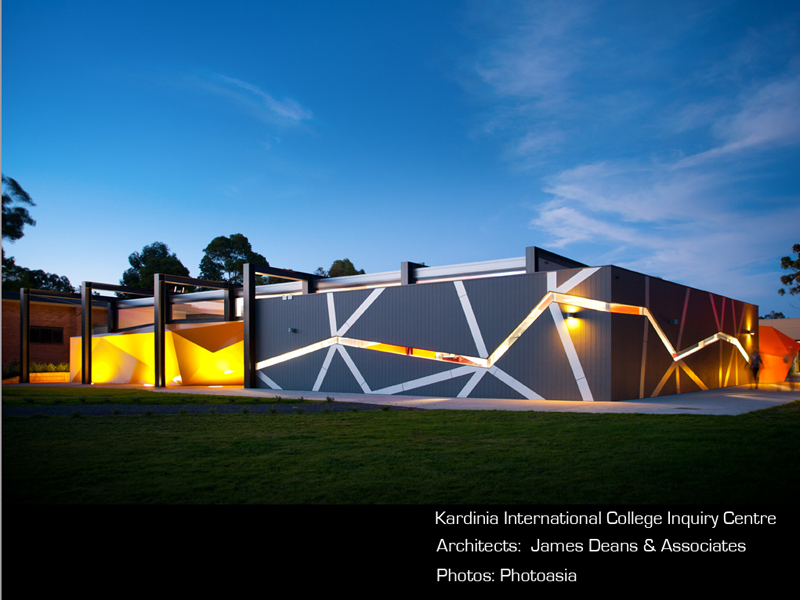 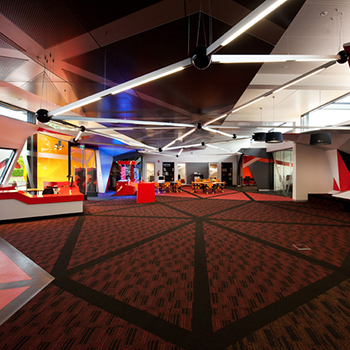 Sonic Lighting was proud to design and supply the lighting for Kardinia International College's recently opened Inquiry Centre. 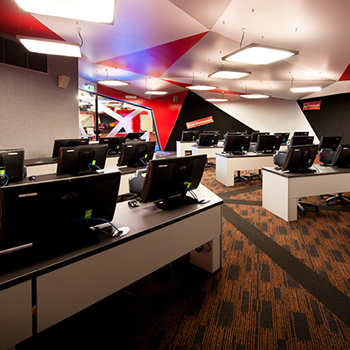 The major feature in this technological enquiry centre was a 3 dimensional hanging structure designed to replicate early diagrams used to depict the ‘internet’. 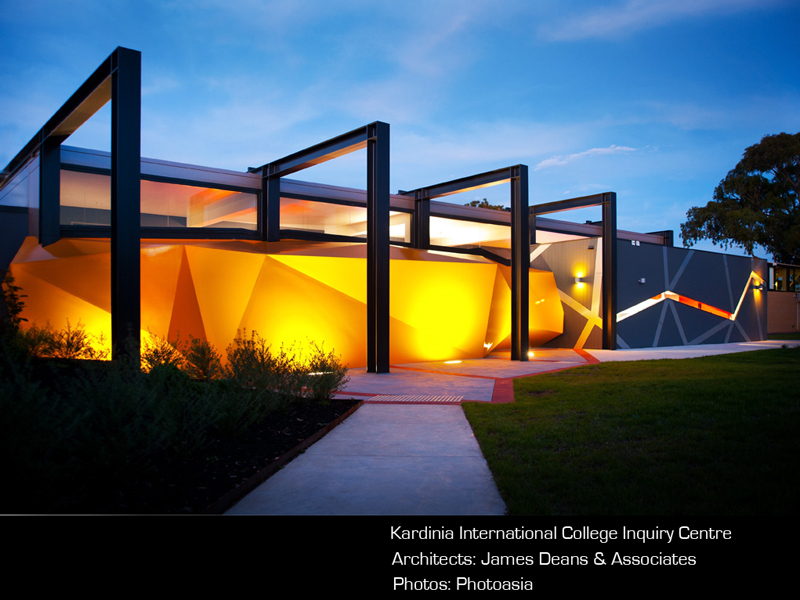 This was a system of nodes and information streams. 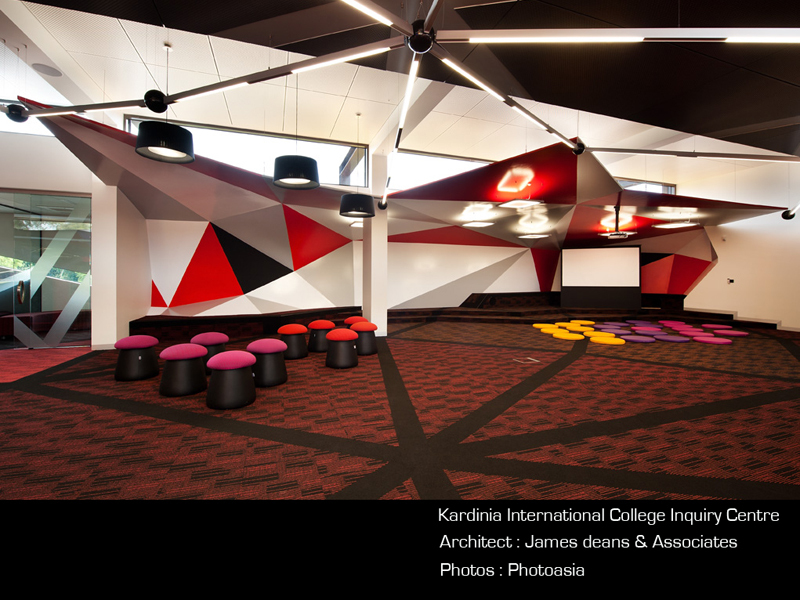 Our managing director, Gavan Divola, was asked to create this while illuminating the floor space as a multi-faceted education space. 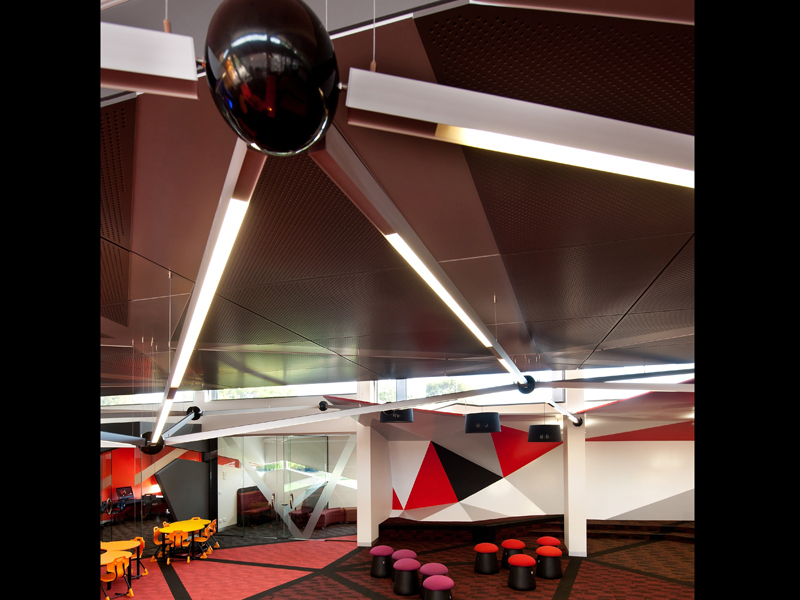 We were able to achieve this with our Belgian brand Z-Line using Z-Strip T5 fluorescents made to specific lengths, and purpose built spun orbs as the ‘Node’ components. 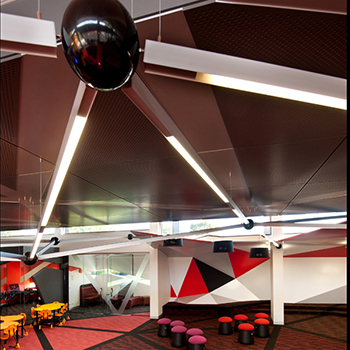 These fixtures are all pre-wired with Dali dimming ballasts and are set on an automatic switching/dimming system with manual override for operators to alter to suit requirements. 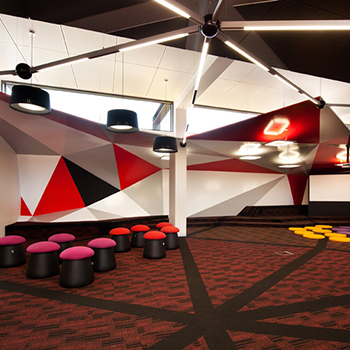 Elements have been softened in areas to suit the various locations via fabric pendants. 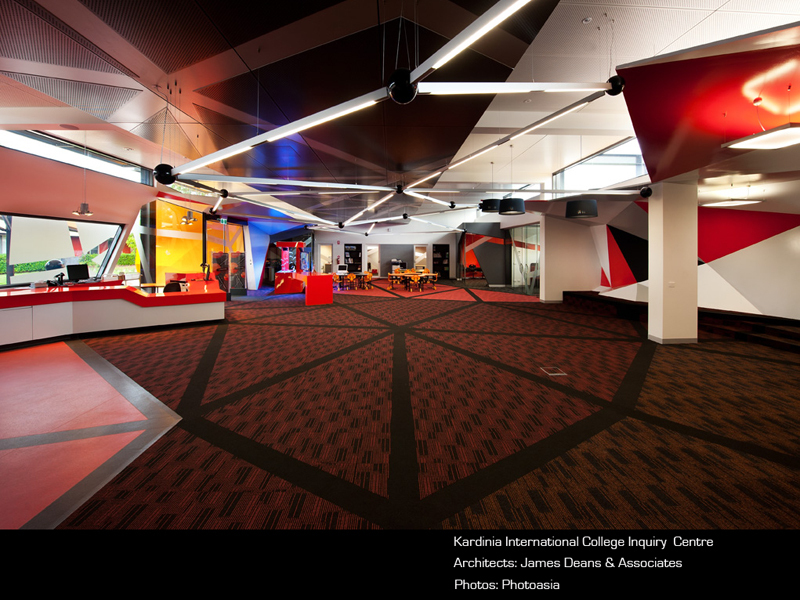 Arkos Moon suspended pendants are in the dramatic wing sections off the main space which enable up and down lighting to enhance the unique ceiling. 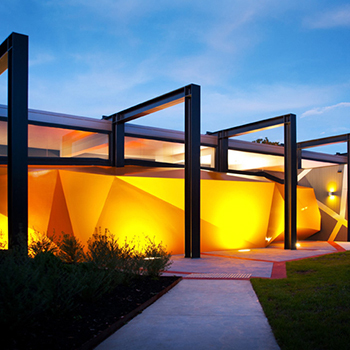 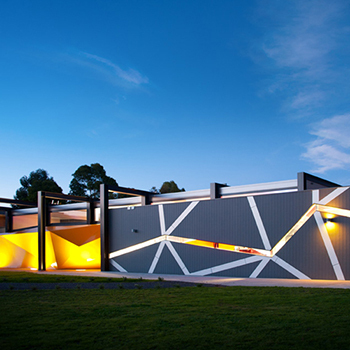 Externally Arkos up/down round wall lights ( 5516) and in ground rectangular fluorescent up lighters ( 5570 ) are used to illuminate the building.